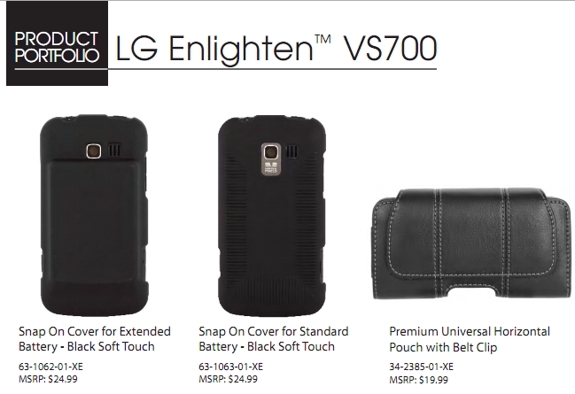 Verizon Set To Release LG Enlighten Next Month In US? Verizon is potentially bringing the LG Gelato Q to the United States as the LG Enlighten. Release is rumored for sometime in September, and wouldn’t it be awesome if it looked like this? We would have to buy one just for novelty purposes. It could just be a filler phone, or may not even be released since we don’t see it anywhere on Verizon’s leaked Road Map from yesterday. Anyone down for an LG Qwerty? I remember my first “smartphone” was an LG qwerty called, The Voyager. Remember those?